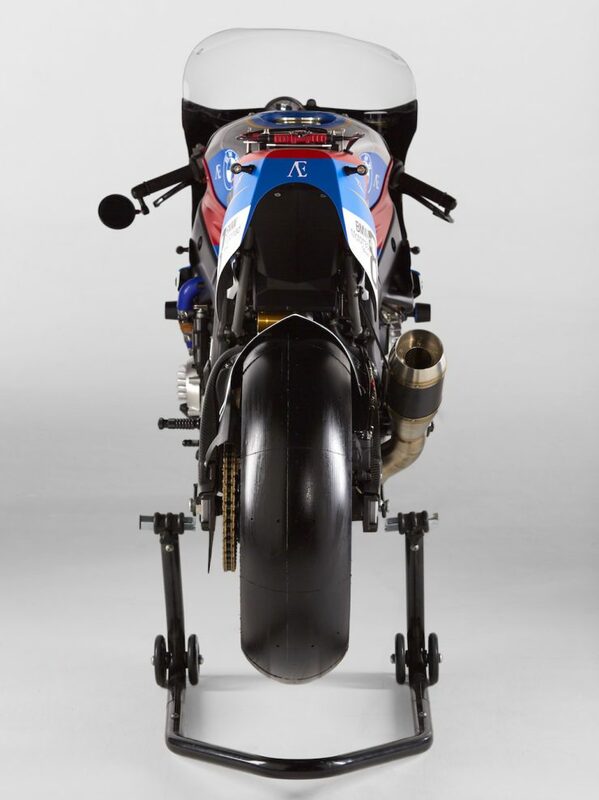 The specifications of the S1000RR would be impressive for most roadsters, it’s capable of 199hp at 13,000 RPM and 83 lb. 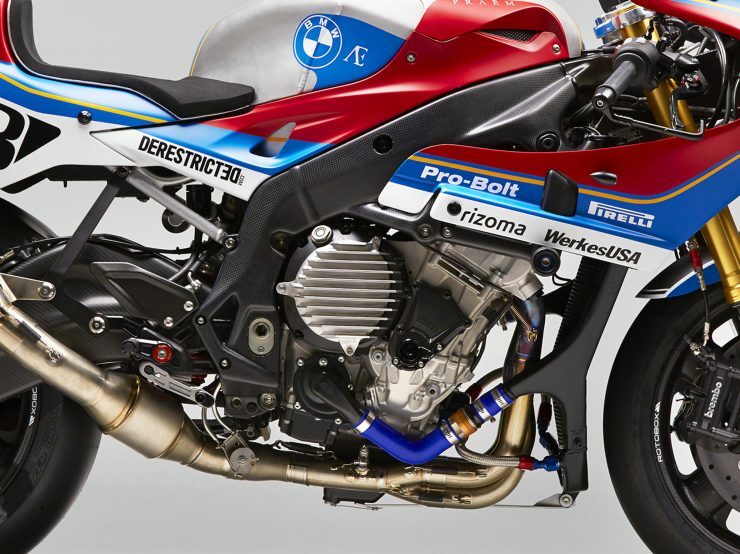 ft. of torque at 9750 RPM. 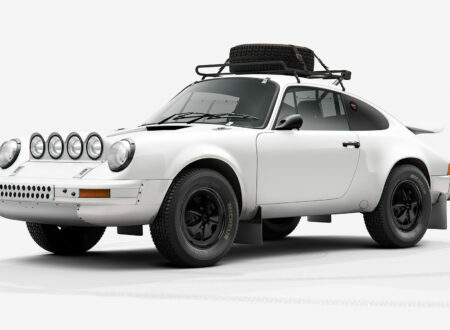 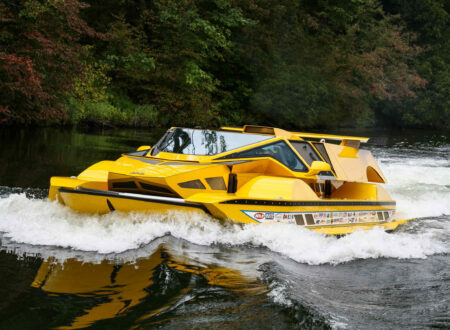 Its wet weight is 207.7 kgs (458 lbs), dropping to 183 kgs (403 lbs) without fluids, and it has borderline green fuel efficiency at 6.13 L/100 km (38.4 mpg USA). 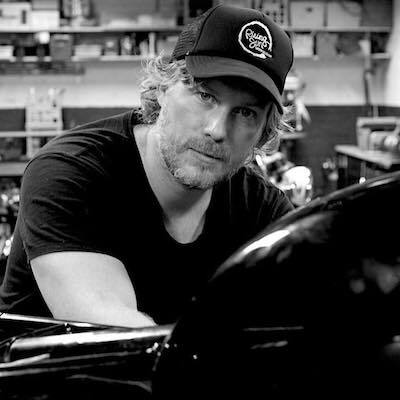 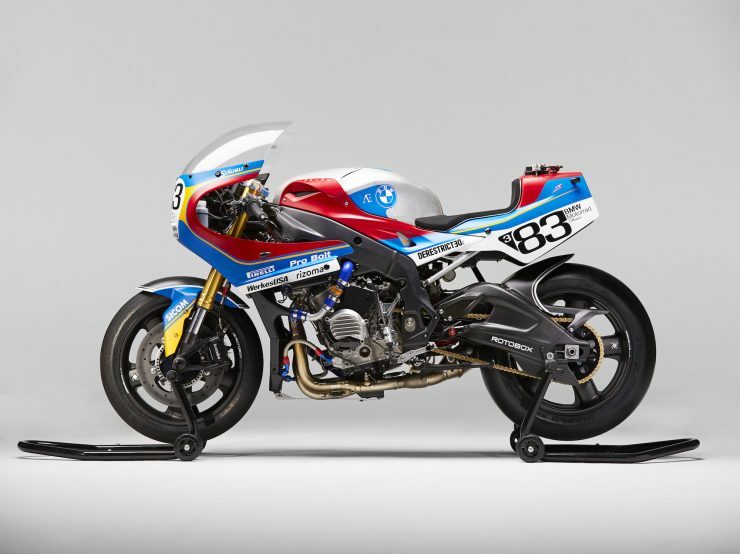 When the two brothers who comprise custom motorcycle garage PRAËM decided to take a factory fresh BMW S1000RR and customise it they had one significant advantage – PRAËM co-founder Sylvain Bergeron is a veteran of the BMW Motorrad styling department, and is personally acquainted with the team that developed the S1000RR. 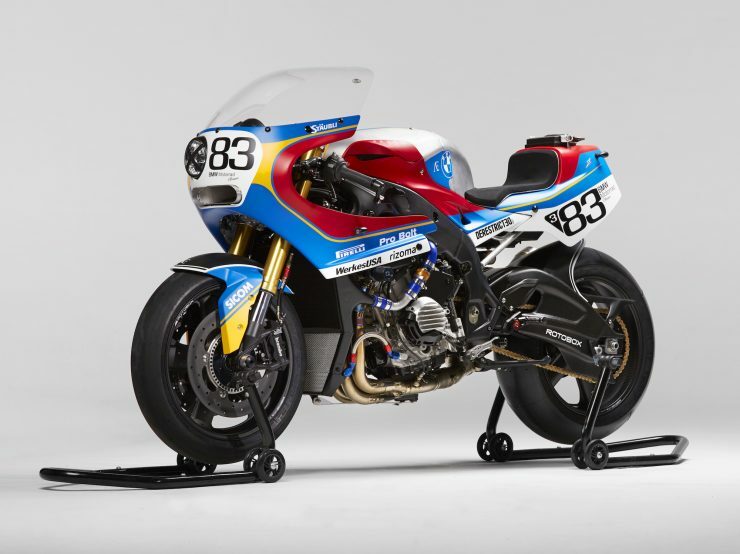 The first order of business was the removal of the stock fairing, tank, seat, and rear cowling, along with all associated lights and electronics. 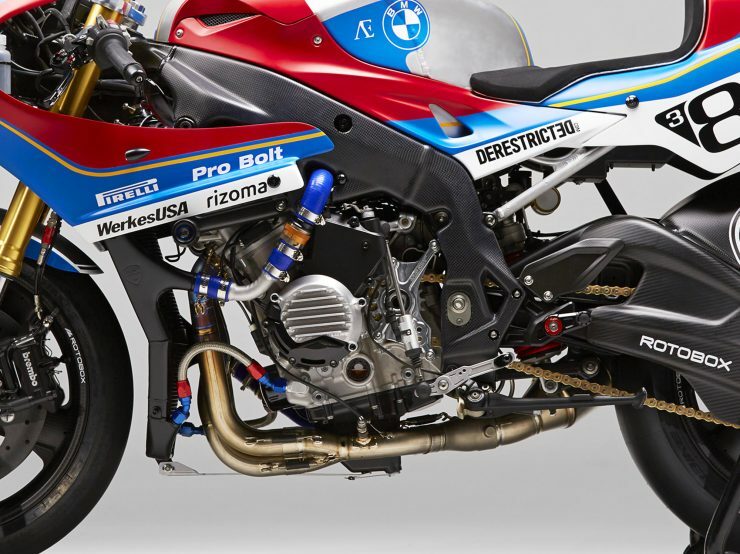 It was decided early on not to modify the race-tuned front and rear suspension as it would likely not improve anything and would lead to legal issues when road registering the bike. 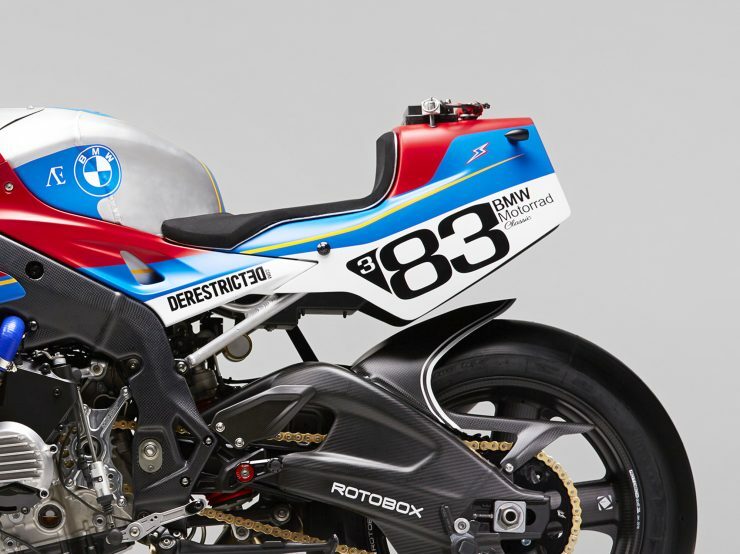 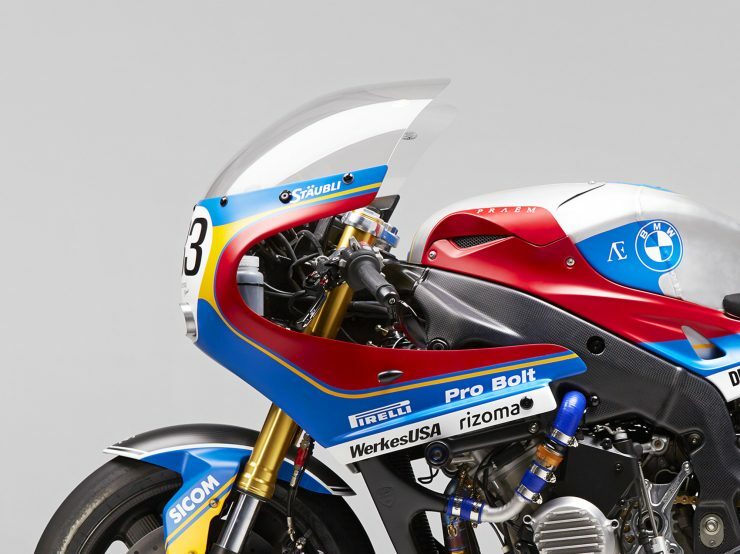 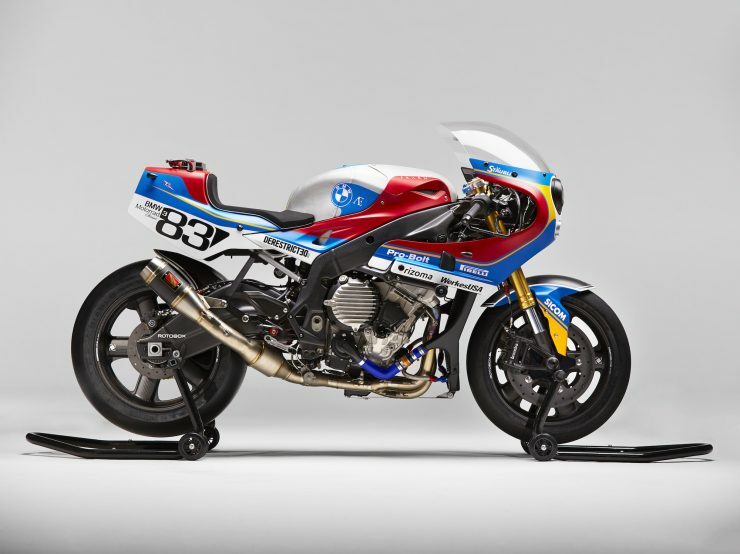 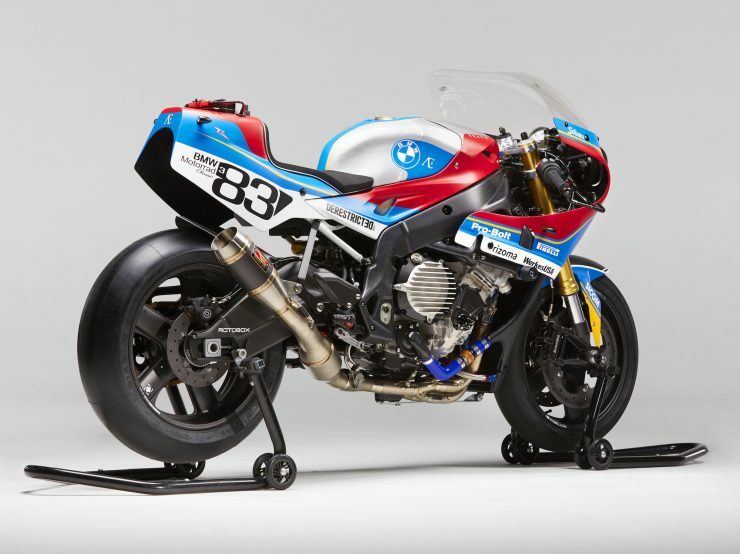 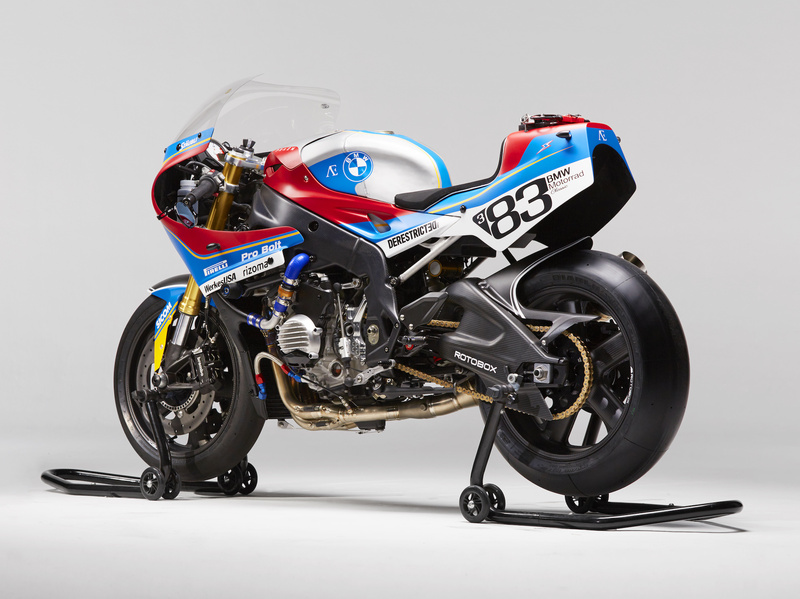 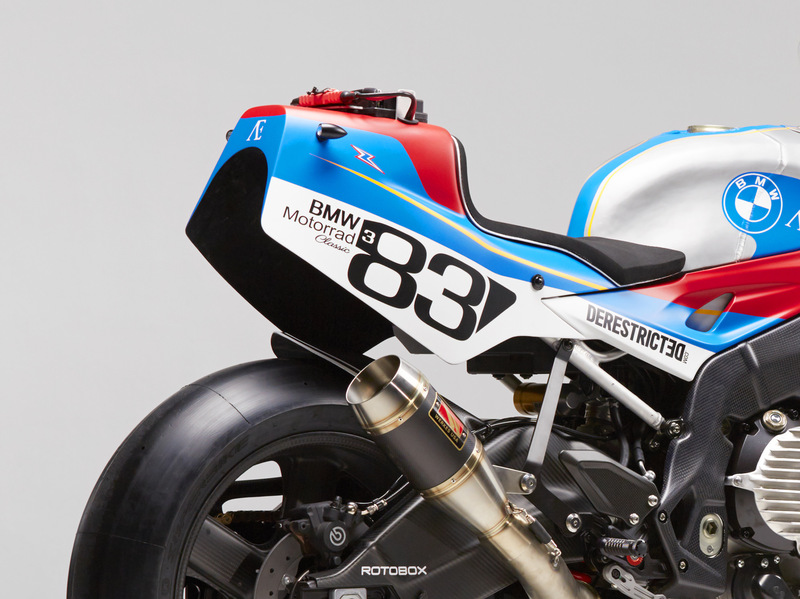 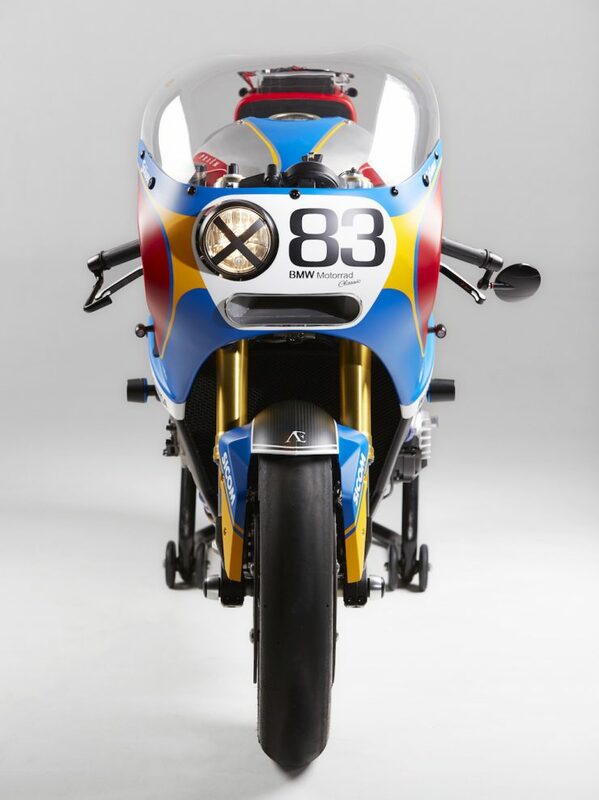 Florent and Sylvain chose to base the styling of the new bike on the iconic endurance racing motorcycles – specifically a Suzuka 8-hour endurance bike. 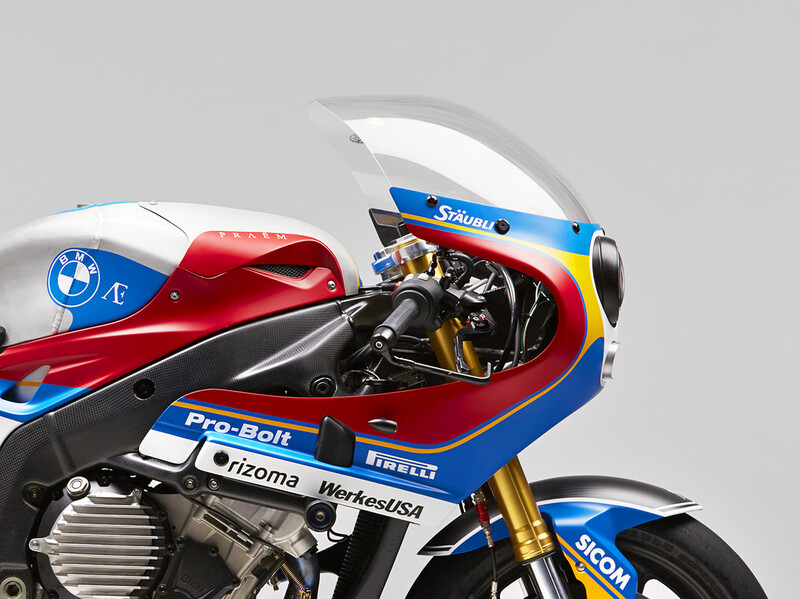 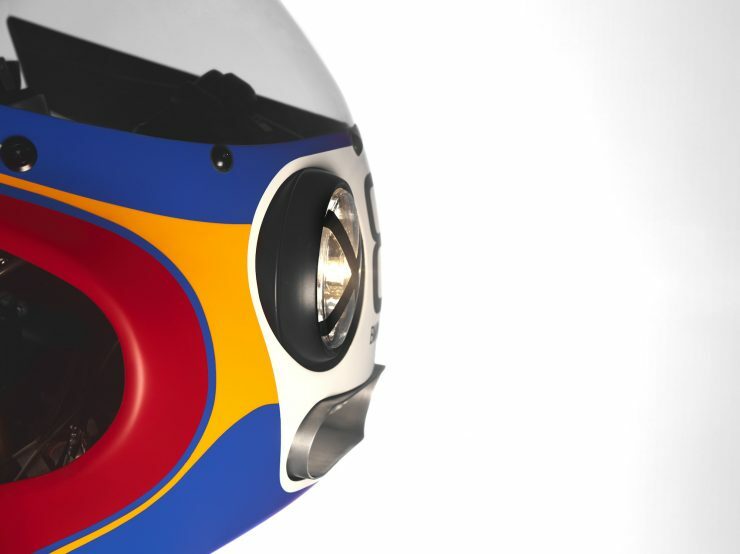 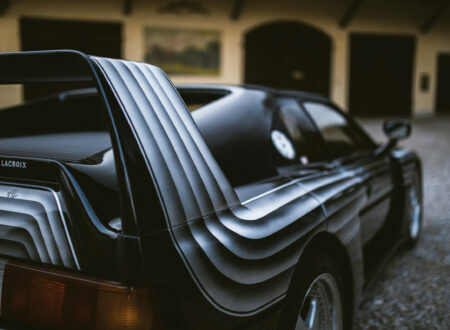 A new half fairing was developed in-house at PRAËM with a classic off-set headlight with the classic black electrical tape “X” to keep the glass together in the event of an accident. 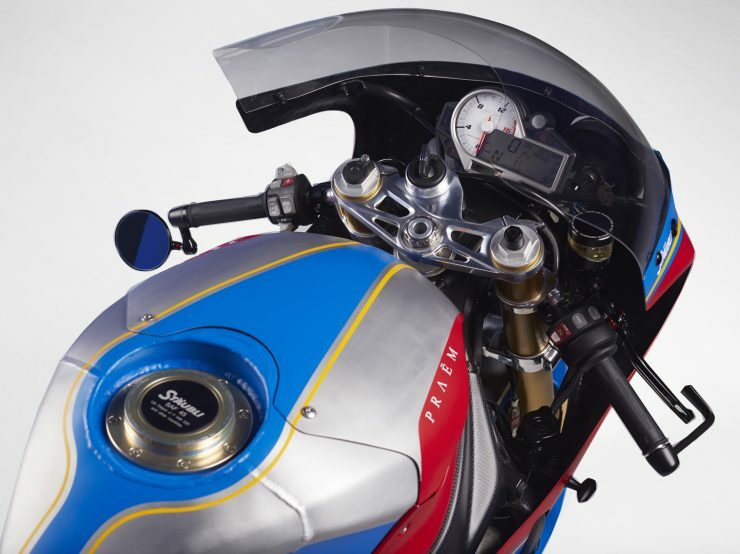 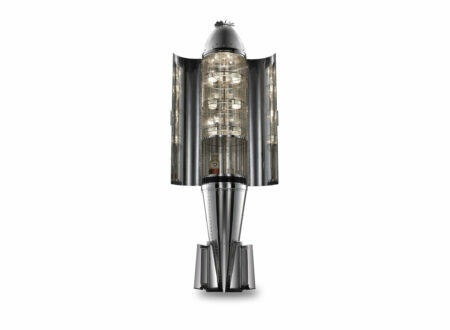 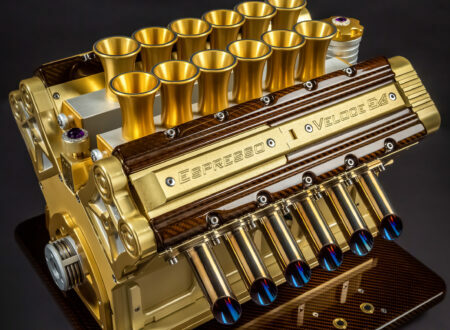 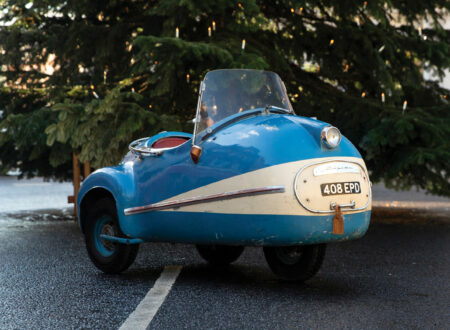 The fuel tank was rebuilt in aluminium to lengthen it and accommodate the Stäubli endurance-style quick-fill fuel cap system. The seat and rear cowling was fabricated by hand and a new higher-flow titanium Akrapovič exhaust was added with a single exit on the right hand side. 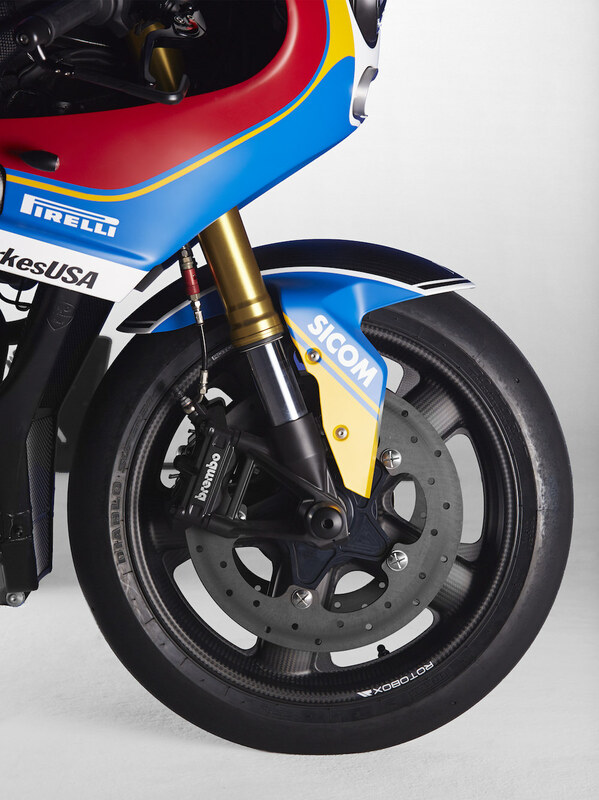 A new set of Rotobox carbon wheels replaced the stock units, saving 5 kgs of unsprung weight, and a matching set of Sicom carbon-ceramic brakes were fitted to enhance stopping power and reduce brake fade during longer races. 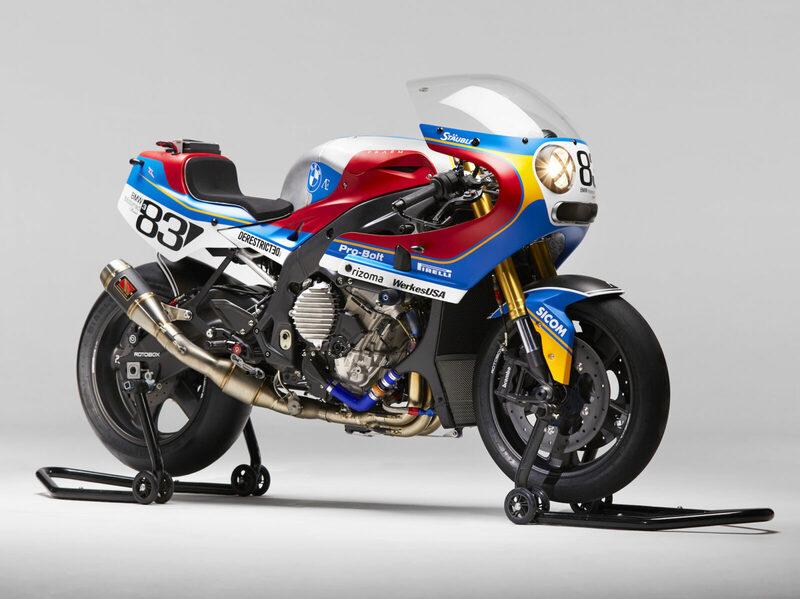 If you’d like to visit the official PRAËM website you can click here, if you’d like to read more about the BMW S1000RR you can click here and if you’d like to read more about the BMW PRAËM S1000RR you can click here.